Experience Reiki Energy. Expand Your Healing Potential. Reiki was founded by Dr. Miako Usui, of Japan, in the early 1900s. Dr. Usui developed the energy practice of Reiki in order to contribute to the healing process at the physical and emotional levels. He found inspiration and purpose in the exploration of a method that would allow him to tap into the energy that supplies all of life, the force of energy that makes plants grow and human’s develop, in order to restore imbalances in the living systems within living beings; including people, animals and plants. The caveat was that he realized he needed to find a way to do this without depleting his own internal stores of energy or taking on any negative energy released from blockages within the individual’s he would come to facilitate healing. Over several generations since Dr. Usui’s formalized the system of energy healing that came to be known as Reiki, the lineage of healers, often referred to as “grandmasters”, eventually began to share their insights with the Western world. Dr. Usui’s technique of Reiki healing is what is now commonly referred to as Usui’s System of Natural Healing. The word Reiki (pronounced ray-key) also traces back to Japanese origins with the word Rei meaning “wisdom from the source or higher power” and the word Ki meaning “Life Force Energy”. Together, Reiki is loosely defined as, “life force energy guided by spirit”. Reiki is a non-invasive healing process, involving a trained and attuned Reiki practitioner whom uses a technique of “laying on of hands” in order to guide what is referred to as “universal life force energy”, in an effort to promote healing through the mind-body-spirit connection that resides in each of us. Reiki is based on the belief that life force energy flows through each of us at all times. If a person’s energy flow is blocked, it is regarded that this may be a contributing factor to the outcome of a stagnant or low, sick or stressed individual. The same may occur for your household pets, which is why Reiki for animals works, as well. When energy within and around us is able to flow without blockage, we are more likely to feel happy and healthy. 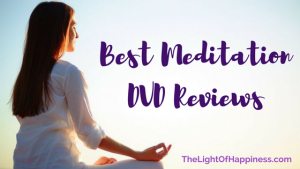 Essentially, this ancient healing practice can be thought of as an “energy transference” from the practitioner bringing Life Force Energy to the recipient, creating a feeling of peace and relaxation. It’s helpful to visualize Reiki’s healing energy as being within and around you at all times. You are surrounded by energy all the time. Therefore, you are surrounded by potential Reiki energy right now; if you desire to tap in to it in order to help heal yourself or other’s you just have to tap into it! Reiki does not involve rubbing of muscles, as one might experience through massage. Instead, a trained Reiki practitioner places their hands just above or lightly touching the (fully-clothed) recipient allowing the energy to flow from the atmosphere, through the practitioner’s hands, as a conduit, and into the recipient, through the seven chakra centers of the body. However, anyone can naturally generate positive energy through your hands. Think about it, what do you do when you have a physical injury in any way? You place your hands on that spot and help ease the pain. We also use our hands to send positive energy to another with a shake of the hand. If you are a pregnant mother, you spend much time rubbing and placing your hands on your belly, giving physical touch and warm energy to your baby-to-be. In essence, anyone can tap into the energy of Reiki. How is Reiki Used to Treat Ailments? Please note that Reiki should not be viewed as a full substitute for modern medical practices or medicines. When used in conjunction with recommendations from medical doctors, naturopathic doctors or psychologists, Reiki may aid in the healing process of a physical or emotional injury or pain. If you have been told that a Reiki session would clear you of all medical conditions, this is a red flag. Reiki should be considered part of a holistic approach to a healthy lifestyle. It may assist in achieving or maintaining a healthy body, mind and spirit. One must direct their lifestyle in a way that is conducive to an overall healthy disposition, otherwise Reiki will only be able to provide temporary relief rather than achieving its full potential as a healing art. Is Reiki a Spiritual Practice or a Religion? The question of religion is one that comes to mind for some folks who have no fully explored what Reiki really is all about. There is no affiliation with any church or religious set of beliefs, in regards to Reiki. The line blurs between religion and spirituality for some. However, in its origins, Reiki has never had a religious basis or dogma. It is open to beings of all beliefs systems and backgrounds. Reiki is simply a system of energy healing that was created to improve the lives of all. What Do I Need to Do to Experience Reiki? If you are simply receiving Reiki energy during a treatment from a Reiki practitioner, then you do not need any prior training yourself. The basis of all matter is energy. Every person, animal and plant is composed of energy. Therefore, anyone may receive the healing benefits of Reiki without any prior training. There is not one set rate for a Reiki treatment as each practitioner determines his or her own fees in exchange for a healing service. 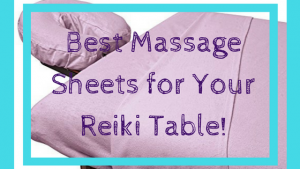 However, if you are hoping that insurance will cover the cost of a treatment, that will likely only happen if you are receiving care at a hospital that provides Reiki as part of their services offered by a nurse or licensed healthcare professional. It is not uncommon, however, that newly trained practitioners would offer their services to friends and family at no cost or merely in exchange for a donation or for a barter. Experienced practitioners will often charge anywhere from free to $15-$150 and up, depending on their individual demand, as well as the length and inclusion of other services. For instance, if they are a certified massage therapist and Reiki certified practitioner, they may offer both services at the same time for a 60 or 90 minute session. This would influence their fees. Be sure to find out in advance what the terms of service are before booking a Reiki treatment. Reiki sessions are conducted in a way that bring energy to the areas of the body that are experiencing the most blockage to energy. Therefore, the practitioner may hold in certain locations over the body for longer than others. The energy flowing into the recipients body may circulate to the areas that need the most attention. This is the belief in Reiki practice that the energy goes to the most damaged or blocked aspect of the body or emotional system. Depending on the level of intensity in the session and the predetermined length of time in the healing treatment, as little as three minutes to five minutes or as long as 10 minutes and up, may be held on each chakra of the body. In total, most treatments last between 30 and 90 minutes. What Should I Expect in a Reiki Session? If you have made the decision to seek a Reiki treatment you may be curious to know what to expect. Similar to any energy healing or massage therapy session, you should come with a mindset of peace and calming. Stress relief and relaxation of some of the most immediate outcomes of a Reiki healing session. Prepare yourself in the mind to let go of any thing that may be troubling you. Part of the healing process from emotional scars, sometimes involves the clearing of tear ducts through crying and letting out negative toxins within the body. Your practitioner will respect this and allow you to go through this experience, whatever it may be. As part of a relaxation oriented experience, try and refrain from drinking caffeinated beverages within a few hours of your treatment. Overeating, particularly of sugar or salt rich food, will cause a bloated stomach and intestinal tract, which will not allow your body to heal to its fullest potential. Drinking alcohol or taking any mind altering substance should strongly be avoided. How Can I Find the Right Reiki Practitioner Near Me? First, have a look at the Reiki Practitioners Directory. It is a free resource that lists any Reiki healer whom has a website and physical location, across every city in each state in America. There you will find a comprehensive round-up of available options for Reiki nearby. Explore each practitioners website and social media pages (if available). Then, once you have located one or two options that may work for you based off of the general vibe you get from what you have read or seen on of their web presence, consider contacting them. A contact form, email address or phone number along with a physical address is likely to be information you will find online. How long have they practiced Reiki? What are their rates of service? When is the next available Reiki session or Reiki training? Once an individual undergoes training, they will have become “attuned” to Reiki. In other words, they will have learned to have harnessed the energy that is around them at all times and direct it through their hands to another living being. In some respects, there is a considered to be a spiritual presence closely associated with the attunement process. Many who have “become attuned” have experienced inner awakenings and feel closer to their higher self, after the experience. Can I Receive Reiki Attunement from Home? Traditionally, courses offered to learn Reiki are taught in person within a group setting. This is an important basis of training as it facilitates collaboration and sharing along this early part of your journey into learning energy healing. You will have the added advanced of finding or starting a Reiki circle that you can continue to connect with over time. In our modern times and technological advancements in 2019, there are many great resources online, through digital blog posts, YouTube videos and the like. Many folks wonder if they can skip the classroom experience and just learn from home, via online and physical books and resources. In order to really understand how to incorporate Reiki into your life, it is best to find a local training course and begin in a more connected way that puts you quite literally in touch with other, like-minded healers. How Quickly Can I Learn Reiki? Initial Reiki training, to complete Level I & II, often requires roughly 16-24 hours of classroom time. Typically, training courses are offered over one full weekend, Saturday-Sunday. Otherwise, you may find there are multiple evening courses that cater to your schedule. It really depends on the offering of the Reiki Teacher or Master nearby who is hosting and instructing the training course. Seek until you find one that is right for you! A side note: if you are focusing on the speed at which you can complete Reiki training, you should know that Reiki is a lifelong journey. There is no prize for first place. In fact, one of the major rewards of Reiki is the ability to unwind and slow down. Reiki training is an experience of learning from a Reiki Master that each practitioner must go through in order to pass healing energy on to other living beings. This involves classroom training to direct students towards best practices and also carry on traditions and customs of the Reiki healing art in a hands on way. If you are intending on giving Reiki to another person, especially if that person is a client who is paying money to you in exchange for a treatment, it is essential that you have been trained at least to the Level I or the most common training hierarchy, which includes, Reiki Level I, Reiki II and Reiki Master. The belief in Reiki is that everyone has the ability to give Reiki on some limited, but natural, basis without training. Anyone who has ever held hands with someone to calm them or sent them a blessing has, in an untrained, way engaged in a form of Reiki, intuitively. Anyone can enjoy Reiki to do as a courtesy on themselves, other practitioners in a Reiki circle, individually with their friends, family or animals once they have been trained and attuned. However, training is needed and is necessary in order to bring the entire healing process together in harmony of mind body and spirit. Reiki Mastery is the third level of Reiki training. Traditionally it was an exclusive training that was passed on by a “grandmaster” to her or his student. That student was an exemplar pupil and would dedicate themselves to the practice of Reiki along their entirety of their life. In modern times, however, anyone who has been trained in Level I & II may then advanced to Reiki Master level after a certain amount of training time. Only a Reiki Master may teach and certify another Reiki Master. Often, this part of the journey is one that is recommended to wait at least 6 months to 1 year from the date of completion of the first two phases of training. Reiki Masters want to be certain that if they are teaching another student to become a Master of Reiki that the individual will give every effort to maintaining focus and dedication to the practice. It is less a matter of intellectual ability that a Reiki Master seeks before training another Reiki Master. It has more to do with dedication and determination to remain on the path to healing oneself and others in this lifetime. Reiki symbols are steeped in a tradition that is sacred to the early founders of this healing energy form. In modern times, sharing of the symbols and their meanings have become acceptable amongst Reiki circles, as well as in printed text and obviously, online resources. Sharing knowledge can be powerful and it is the belief of all Reiki practitioners that it is to be used to the highest level of good for the greatest number of beings. That said, there are three symbols in Reiki, which enhance the healing potential of those who are trained in the healing art. Each symbol is drawn or visualized by the practitioner. What are Reiki Hand Positions? Reiki can be thought of as a system of providing healing energy transference through a practitioner to the individual on the Reiki table, or meditation chair, who is receiving the energy, with a certain start point in mind. Usually, the practitioner begins in a set pattern which follows the seven chakras and meridians of the body. Hand placement over the the crown chakra at the top of the head. From there, moving down to the forehead or the third eye chakra. The next location down along the body would be the throat chakra, around the neck area or throat. Heart chakra follows, which is towards the center or left chest. Slightly above the belly button area is the solar plexus chakra. Then the sacral chakra is next, right around the waist. Finally the root chakra is at the base of the spinal column and is accessed by the feet. Hand positions in Reiki are not meant to be followed in a robotic manner. Instead, allow them to be a pathway to your intuition to lead the way towards letting the energy guide the session. What that means is that eventually, you will be able to trust that the energy has a ‘life force’ of its own and find the best path to take towards inviting healing into the session in the way that is most needed at that time. Energy will flow freely when the chakra is open and will feel a bit more “dense” when the chakra center is blocked. In time and through experience, it will become something that is felt rather than intellectualized. Do I Need Reiki Insurance to Offer My Services to the Public? The short answer is that it is always wise to cover liability, whenever possible. Though in most states it is not a requirement that certified practitioners carry insurance, it is something that would benefit most practitioners. It is important to note that in 10 states in the USA, a Reiki practitioner who is in business must also already have a license such as that of a nurse, or a massage therapist. Although Reiki involves laying on of the hands in a manner that does not involve physically touching and fully clothed individual, there may be legal reasons why it would benefit you to explore the option available of limiting your liability through insurance for Reiki. What is Reiki Self Treatment? One of the benefits of becoming attuned and trained as an energy healer is the ability you will gain to heal yourself! By laying on of hands to your own chakra points along your body, the energy will begin to flow freely throughout your system. The exact same process that is required to work on others is essentially the process that anyone training in Reiki can and should practice daily. It is vital to constructively work on healing oneself, while also attending to others. Self treatments are a cornerstone of the overall healing journey and should be a focal point of any practitioner’s practice. As the focus on treating oneself to daily Reiki sessions becomes a mainstay in the daily routine, the inner healing potential grows. Enjoy this video by Dr. Oz that answers the question, what is Reiki energy?